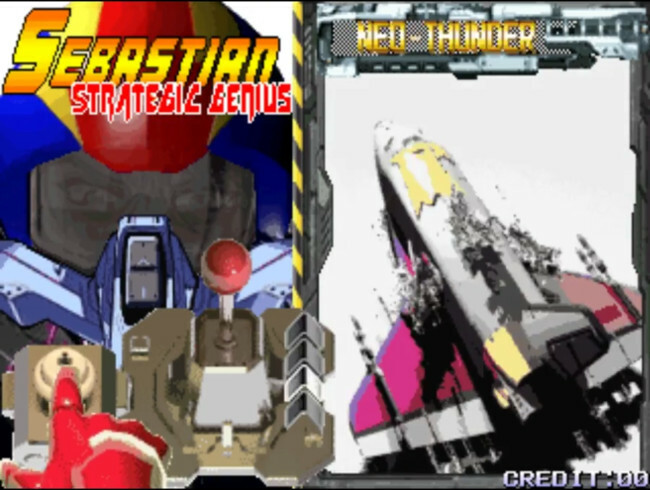 Italian developer BlackJack began the very ambitious project of creating his own shoot'em up game for the Neo Geo platform. His game, Neo Thunder X is the spiritual sequel (and of much higher production quality, to be honest) to my own Neo Geo homebrew game, Neo Thunder. BlackJack has graciously decided to feature me as one of the selectable pilots in his game. The red-yellow-blue colours of my helmet reference the flag of my native Romania.